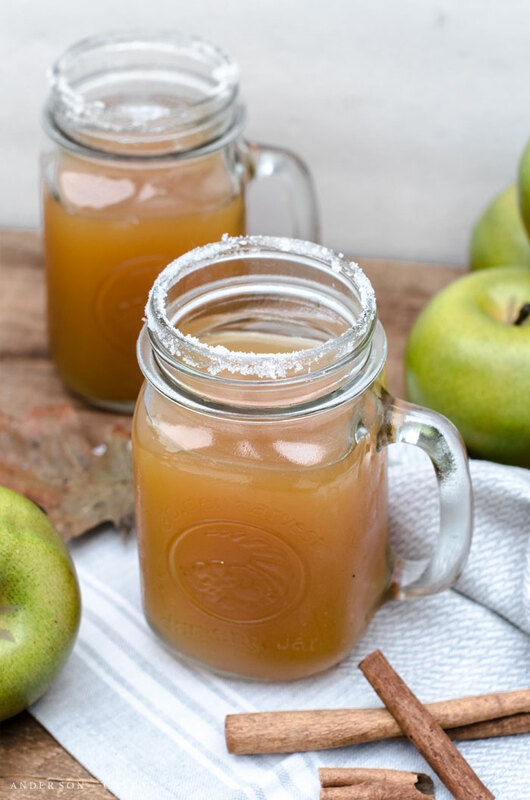 Enhance the flavor of traditional apple cider by cooking it on the stove with all the flavors of fall and then enjoy a mug of the warm beverage as the temperatures cool down this autumn. This season sure has not felt like fall in so many ways. Yesterday the temperature even came close to 80 here where the normal is in the 60s. The leaves have just recently started to turn, and many trees are still covered in vibrant green leaves. And the days seem to be passing by so quickly.....Can you believe that we are already more than half of the way through October already? 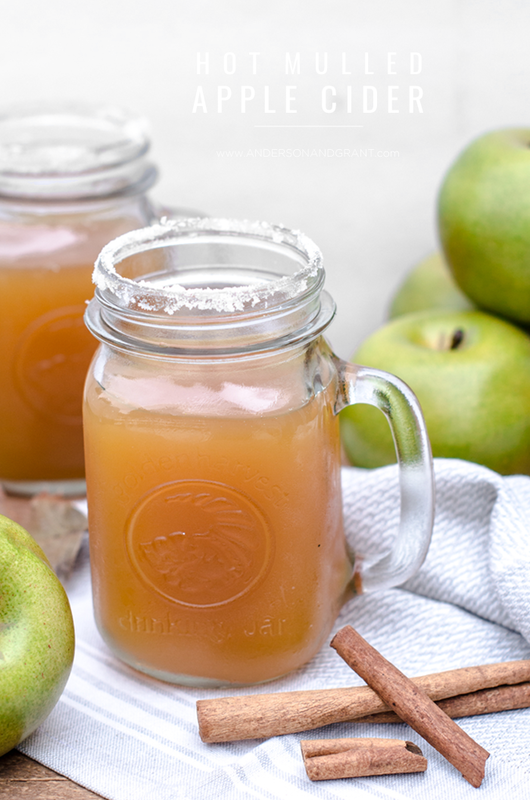 One thing that we make a lot of during the chilly fall season is Hot Mulled Apple Cider, but because of the warm temperatures this year it really hasn't happened much yet. I did manage to cook some up last week during a stint of slightly cooler weather and wanted to share the recipe with you today before it was too late! 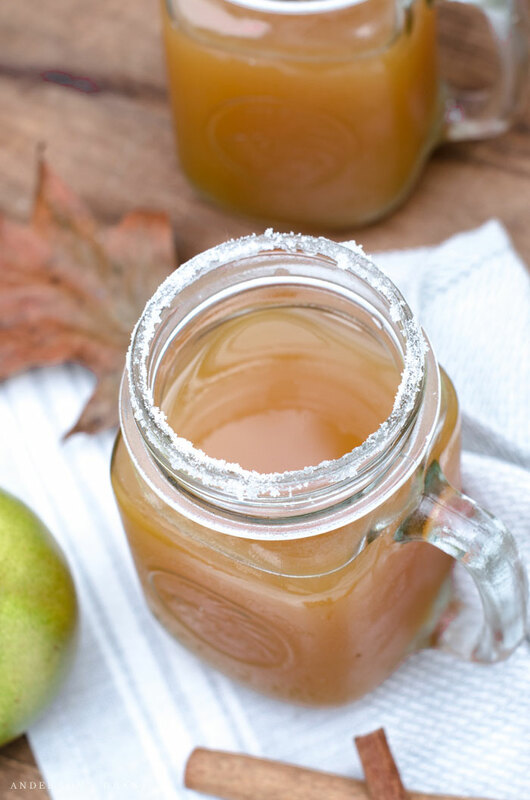 It is a delicious fall beverage filled with the flavors of the season that will warm you from your head to your toes! 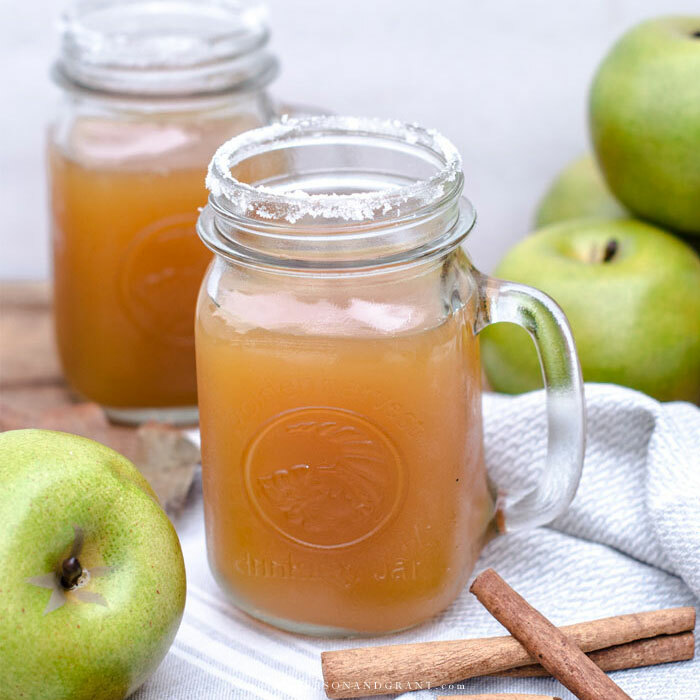 Using this recipe, an ordinary gallon of cider that you buy at the grocery store or farmer's market is mulled on the stove top with an assortment of spices, giving it so much added flavor to love. 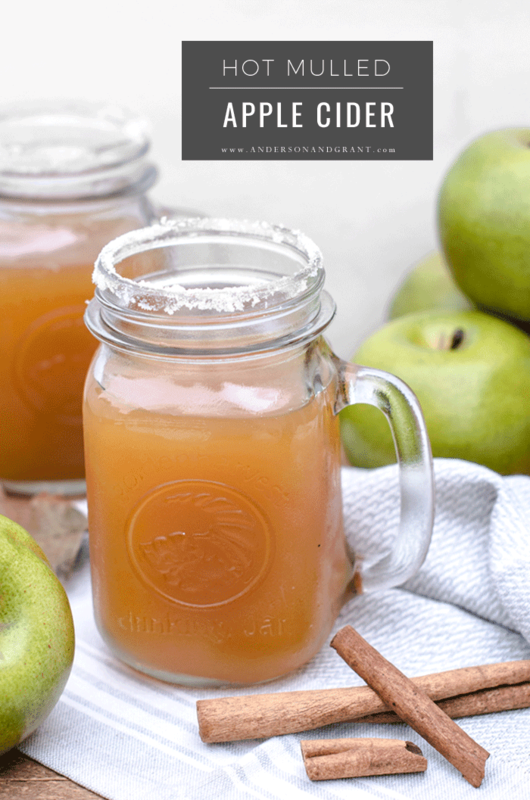 As a sidenote, the recipe can be divided into half if you just want to buy a half gallon of cider, and of course the ingredients can be altered according the your taste preferences. Bring the cider, cinnamon sticks, cloves, and orange peel to a boil in a large pot over medium heat. Reduce the heat and simmer uncovered for 25 to 35 minutes. Set a fine mesh strainer over a large saucepan and pour the mixture through it to remove the cloves, cinnamon sticks, and orange peel. 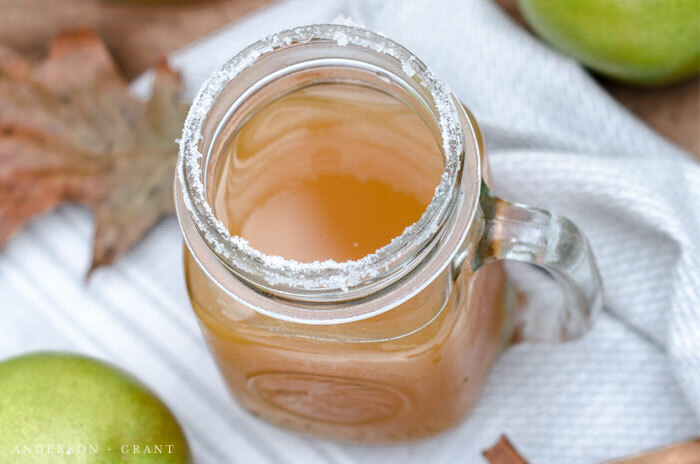 Pour your apple cider into one of these cute mason jar mugs and garnish your drink with orange slices, cinnamon sticks, or cloves. Enjoy!